Increasingly popular with home gardeners Tuscan Kale is also known as Cavalo Nero or ‘Nero de Toscana’. 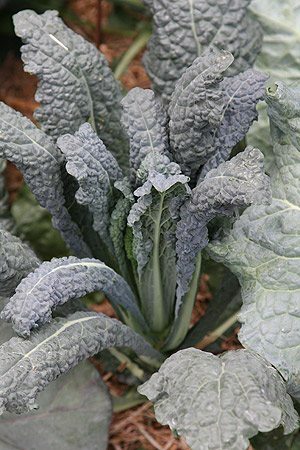 When you realize how easy it is to grow Tuscan Kale, how nutritious it is and add that it actually looks great in the garden, you may well want to plant some. The best way to grow Tuscan Kale is from seed, however seedling plants grow well as long as they are young and are not pot bound. Kale seems to be available in nurseries all year round, however it is actually a cool season crop, so plant it early for good results. As with most leafy greens Tuscan Kale love a nitrogen rich soil, so fertilizers such as dynamic lifter, work wonders. The best time to plant Kale is in cooler periods of the year, so autumn through to late winter. In colder climates you can plant it in spring to summer. It may not look pretty, and often seen as a European vegetable, but Kale is a nutritious vegetable that is easy to grow, excellent in the home garden. Firstly kale is a biennial plant usually grown as an annual unless you want to collect your own seeds. Kale like similar conditions to cabbages, a deep humus rich moist but well drained soil. Best grown in a humus rich fertile soil, an in a sunny position. The biggest problems are with seedlings, slugs and snails love the smaller plants and can decimate new plantings. As for when top plant, Kale is a cold weather crop, it takes 12 – 16 weeks to mature. So plant it 4 months before early summer. Plant seedlings at around 40 cm apart or thin seed sown plants to a similar distance. Kale is a large plant and needs a little space to grow. Seed is best sown in autumn and seedlings best planted in early winter in most areas of Australia. As for the idea that Kale tastes better in a frosty position,. This is sort of true, but only light frosts, all Kale plants need protection from very heavy frosts and Tuscan Kale is no exception. Some dynamic lifter or similar also does wonders. Avoid really hot positions and harvest while on the young side rather than later as the kale will be tender and sweeter. You can cut and ‘come again’, taking what you need from the outside each time. Sometimes put forward as a ‘cold climate’ crop it is a little more versatile than that. And it is a leafy green vegetable used in salads as well as cooked dishes. Available for sale as seeds or as seedlings. For seeds expect to pay around $3 – 4 for 100 seeds (organically certified) Kale is a plant jam packed with vitamins, it is low in calories, high in fibre and has no fat. It has more iron than beef and is very high in vitamins A and K and it is easy to grow. Kale is available in a range of varieties including the popular cavolo nero variety. We also have different leaf types, such as curly and flat. Red Winter – if you can grow this in a cold climate you will get the sweetest of all the Kales. Large oak leaf foliage is green with purple veins. 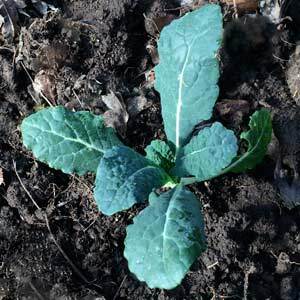 Squire – A curly kale with leaves that are tender when young. Toscana – Very dark green leaves fairly upright.